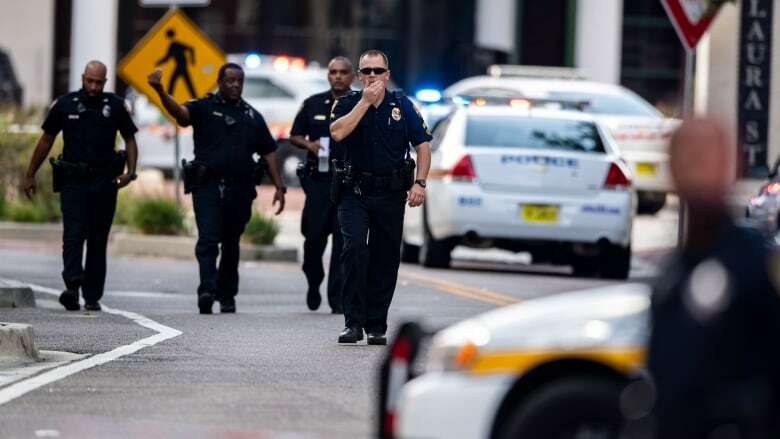 Dozens of ambulances and police cars flooded into Jacksonville Landing — a waterfront dining, entertainment and shopping site in downtown Jacksonville, Fla. — after several shots rang out on a sunny Sunday afternoon. A video gamer killed two people and wounded several others on Sunday when he opened fire with a handgun at a tournament that was being streamed online from a restaurant in Jacksonville, Fla., police said. 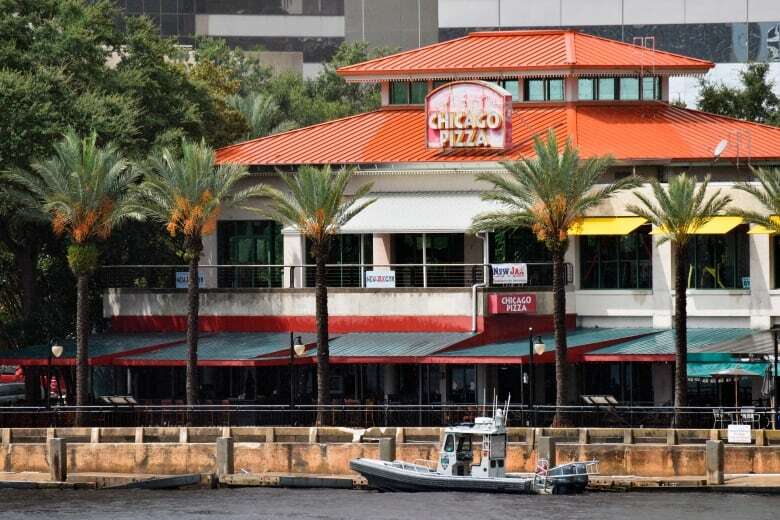 Dozens of ambulances and police cars flooded into Jacksonville Landing, a waterfront dining, entertainment and shopping site in the city's downtown, after several shots rang out on a sunny Sunday afternoon. The shooting took place during a regional qualifier for the Madden 19 online football game tournament at the GLHF Game Bar inside a Chicago Pizza restaurant, according to the venue's website. The tournament was being livestreamed when several shots rang out, according to video of the stream shared on social media. In the video, players can be seen reacting to the gunfire and cries can be heard before the footage cuts off. Taylor Poindexter and her boyfriend, Marquis Williams, had travelled from Chicago to attend the tournament, and they fled when the gunfire erupted. She said she saw the gunman take aim at people. Gamer Chris "Dubby" McFarland, was hospitalized after a bullet grazed his head. "I feel fine, just a scratch on my head. Traumatized and devastated," he wrote on Twitter. Another Twitter user, Drini Gjoka, said he was in the tournament and was shot in the thumb. The sheriff's office said the FBI was assisting them in Baltimore. A Baltimore City police spokesperson, TJ Smith, said the department was assisting partner law enforcement agencies with information that led them to Baltimore. The latest rampage occurred amid a debate over U.S. gun laws that was given fresh impetus by the massacre in February of 17 people at a high school in Parkland, Fla.
Two years ago, a gunman killed 49 people at the Pulse nightclub in Orlando, Fla.
Jacksonville, on Florida's Atlantic Coast, is about 56 kilometres south of the Georgia state line. Florida Gov. Rick Scott, a Republican who is challenging longtime Democratic Sen. Bill Nelson in November's election, said he had offered to provide local authorities with any state resources they might need. Florida Sen. Marco Rubio said both the FBI and the Bureau of Alcohol, Tobacco, Firearms and Explosives were co-ordinating with local authorities. Reacting to news of the shooting during the tournament involving its video game, Madden 19 maker Electronic Arts Inc. said it was working with authorities to gather facts.